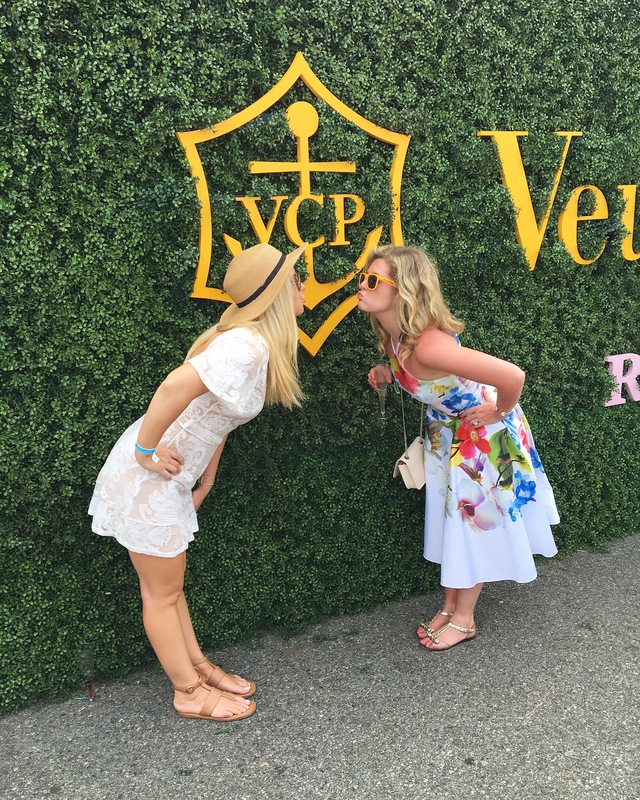 Summer sundresses, picnic blankets, and a polo match? Yes please! 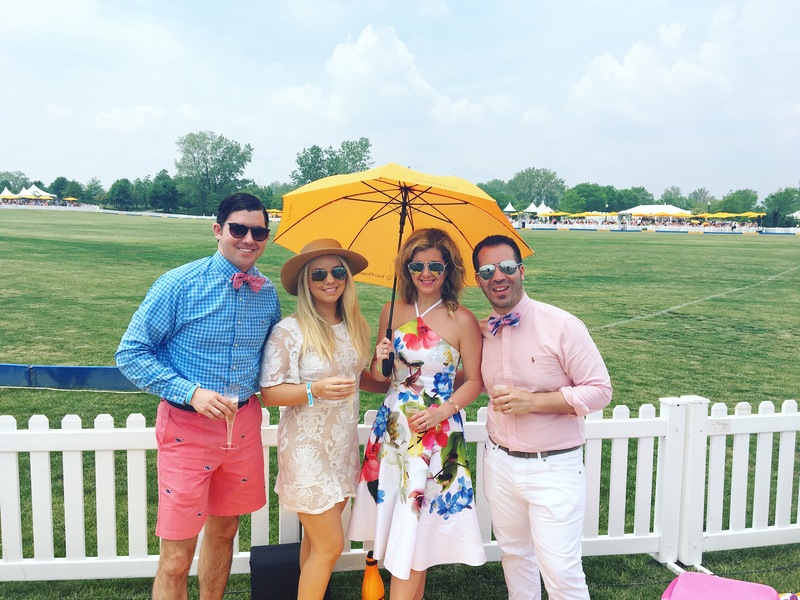 Top that off with some Veuve Clicquot bubbly, and you’ve got yourself a perfectly dreamy afternoon at one of NYC’s swakiest events, the Ninth Annual Veuve Clicquot Polo Classic. 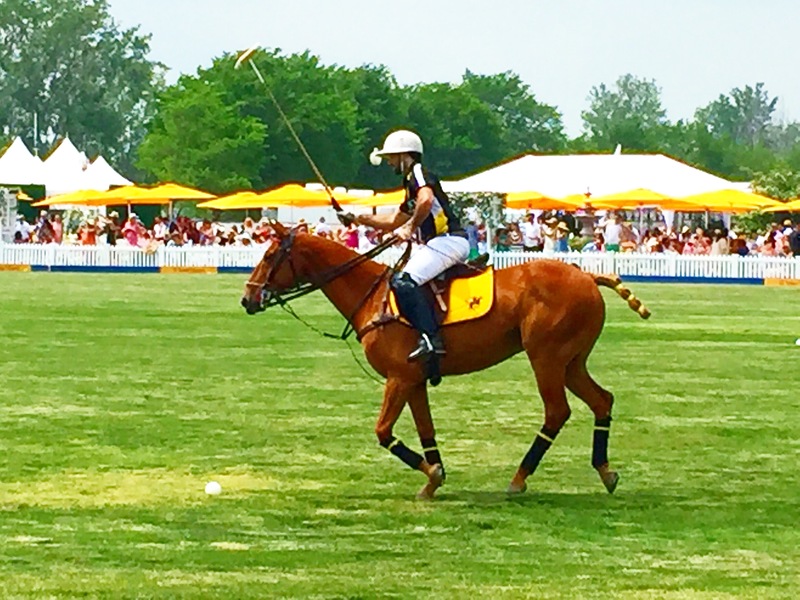 The match is held at Liberty State Park, and is a competition between Nacho Figueras’ Team Black Watch and Team Veuve Clicquot. This year, we attended with event with two of our closest friends, Nick and Blair. We headed out to Liberty State Park for the afternoon, and hopped on the ferry from NYC. 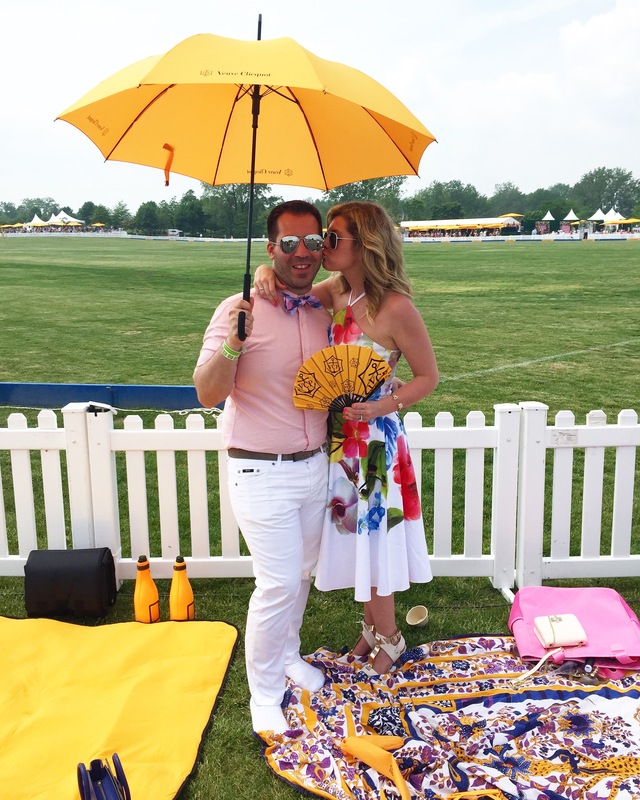 Once we arrived, we hiked it over to the polo field, where there were bright, yellow Veuve Clicquot umbrellas speckled across the lawn as far as the eye could see. 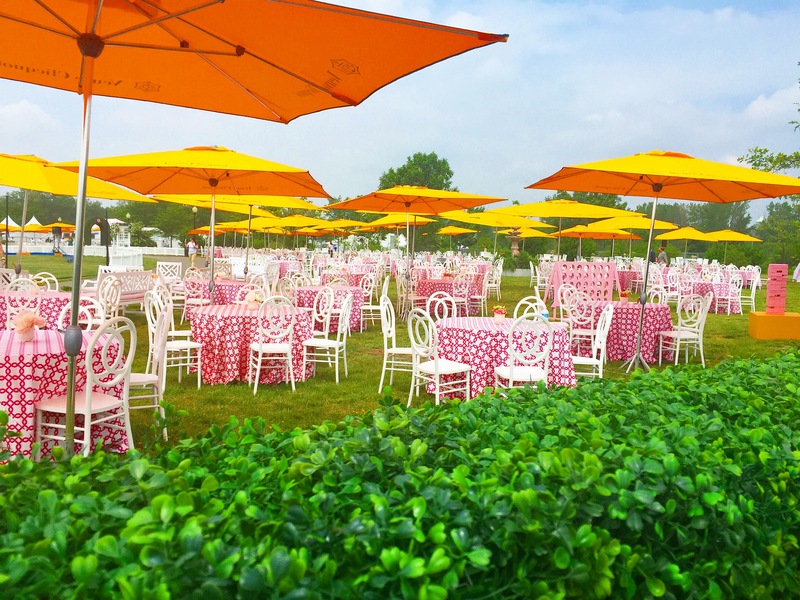 We walked by the pastel, pink Rosé Garden, which guests could purchase exclusive tickets for a VIP garden party. Celebs such as Elizabeth Olsen, Nicky Hilton, Coco Rocha, Rebecca Minkoff, Olivia Palermo, and Michael B. Jordan attended the event. 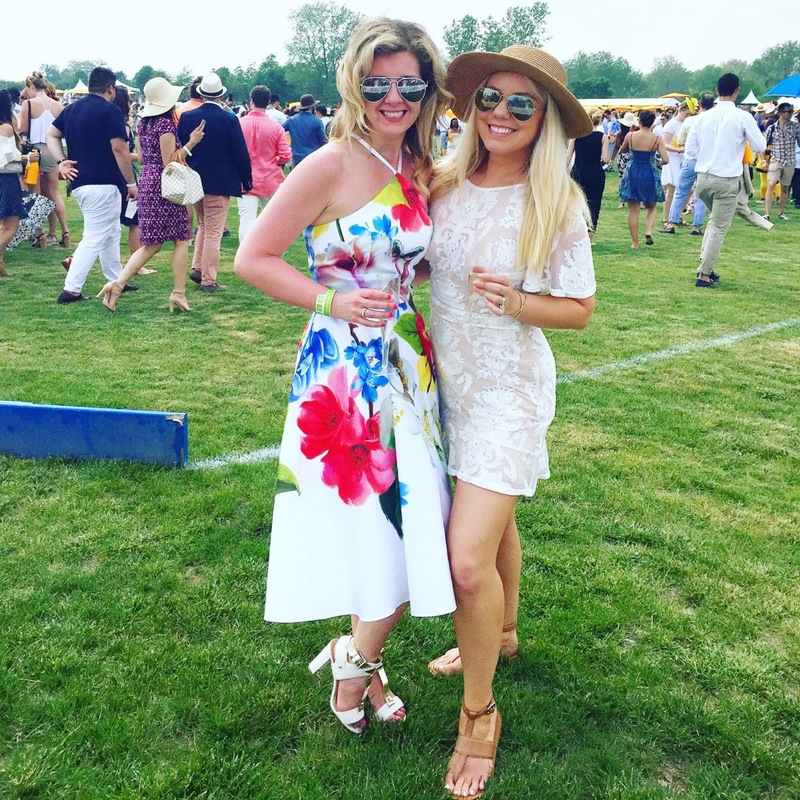 My favorite part of the polo classic is of course, the fashion. My eyes darted around the field as I saw a sea of women in dressed to the nines. I loved the fabulous florals, brilliant colors, and luxurious lace dresses. The accessories were just as impressive with varieties of wide fancy hats, feathered fascinators, and sparkling jewels. 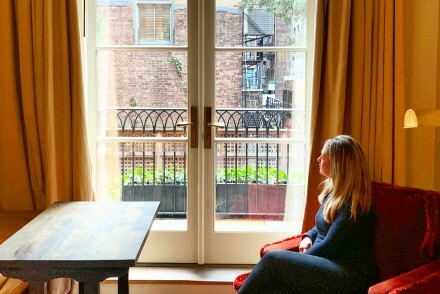 Since it was a challenge to walk in the grass, most women opted for sandals with wedges, or chunky, block heels, which are on definitely on trend for the season, and much easier to walk in. For my Polo Classic look, my heart skipped a beat when I found a stunning, floral dress by Ted Baker, which is one of my favorite designers. Each of his dresses are such statement pieces. My dress had a halter neck, which gave it a sophisticated look, and a fun, flirty circle skirt, which made it ideal for twirling…and you better believe I did. In fact my twirling was perfected with each glass of champagne that I sipped. I wore white and gold heeled sandals, carried a mini shoulder bag (similar here), and wore white rimmed aviators (similar here) to complete my look. To accessorize, I chose simple, gold accessories (similar here and here). My friend, Blair looked fab in a little white lace number (similar here), by For Love and Lemons. You can never go wrong with a little white dress. It is definitely a summer staple. This one was beautiful on her, with a simple, fitted silhouette and a feminine, flutter sleeve. She wore a gold, crystal studded cuff (similar here), aviators (similar here), and a hat (similar here). I fell in love with her Prada sandals (similar here), and they worked perfectly when we ran out to stomp divots together (remember the scene in the movie, Pretty Woman?). The boys got their prep on, in colored shorts, white pants, checkered and pastel shirts, and of course, printed bow ties, which I finally learned to tie last weekend! We lounged on picnic blankets, while making a few new friends as well. Our day was fun filled, and soaked with sunshine (you should see my sunburn…#epicfail). Our glasses overflowed with champagne, and we laughed until our bellies hurt. I needed it so much, and loved every second. That day, I definitely felt lucky to have such fun, loving friends. They make each day better than the last.